Happy very, merry day after Christmas! I hope you and yours had a wonderful day! I know I did. It's been hard to feel all Christmasy here in Houston, since the weather's been in the 60's and 70's but we had a pretty big wind storm roll in yesterday, which knocked our power out right as we were about to start cooking Christmas lunch. Just as my parents got to our house, we opened gifts and moved from our house to my theirs, since they had power so it was all good. Our came back on a few hours later. Anyway, the storm brought the colder temps and it's definitely chilly willy and wintery today, which is perfect for this bit of home decor I am about to show you. I made it with the Winterings collection that Little Yellow Bicycle sent me. I created this frame to mimic the look of subway art. The Winterings Wintry Words/Worn Denim 12x12 paper was perfect for the various Winter sentiments. I just moved the paper around behind the glass until I captured the words just right and then cut them our using the glass/temporary photo that comes with the frame as a guide for the perfect fit. 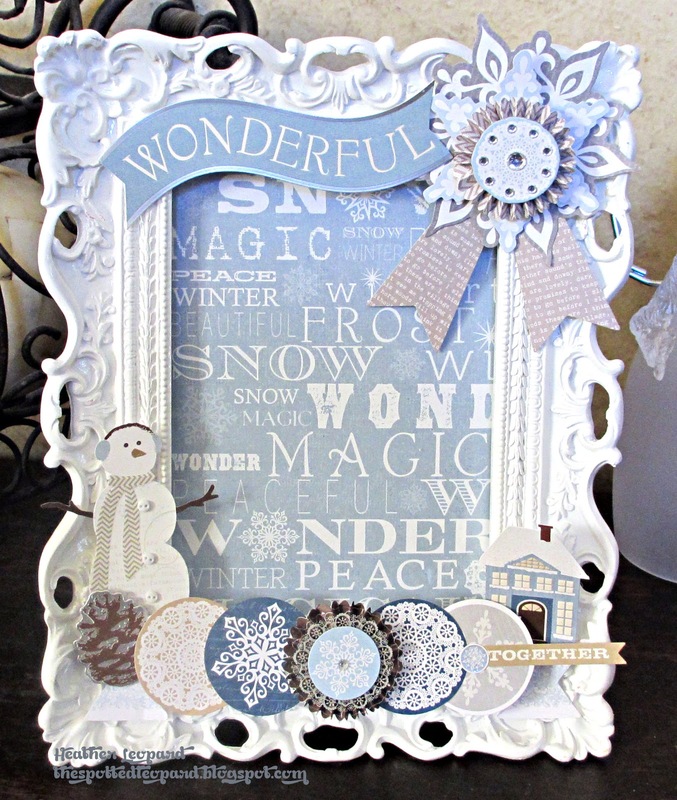 I then adorned the frame with various elements from the paper crafting kit, as well as a few stickers, chipboard and clear cuts. I just love walking in the front door every day to this fun decor. This is beautiful!!! I love love love the colors and the circle elements!! Glad you were able to change plans to your folks for Christmas!!! I love winter, and this just has winter all over it. It's fun to have cute winter decorations after all of Christmas is taken down. Thank you so much for sharing! DARLING! 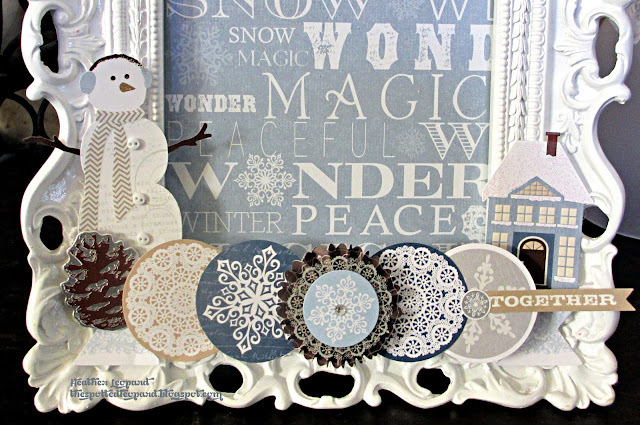 So pretty with the blues and whites! Love the colors. I just found you through TJ. This turned out really pretty! Also, I looked though your other projects–you have some great stuff here! Therefore, I’d like to invite you to link up at my new link party (I know, an other link party?!?) but this one is different. It is for our OLD posts, great ideas that we feel didn’t get enough attention the first time around. This turned out so pretty. What a fantastic idea! Where did you get the printable from? Did you make it? 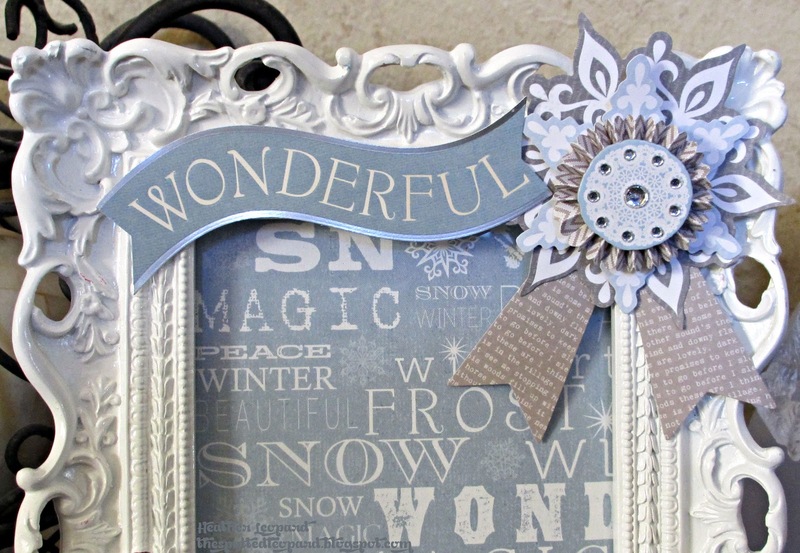 If you check out my blog, you'll see I love subway art as well, and this one would make a great addition to my winter mantel that I am working on. Thanks for the inspiration!